This is (already) the one hundredth App review written on this blog. As a birthday celebration, here is an unmissable free offering from Apple. I've been using this excellent App literally for years. As it is a standard Apple App, it seems to have missed the net for review (and I thought I said it was unmissable); apologies. The name of the App says it all, except that it works for any Internet enabled iOS device. If you ever need to find your iOS device, you will thank your lucky stars that you have this App installed. You start out by signing in to your iCloud account and then confirm that you want to allow access to 'Find my iPhone'. If you're really lucky, that is the first and last time you will have anything to do with the App... and if your life is full of the trials and tribulations, as experienced by the rest of us then, you have just installed the best life raft imaginable. Some of you will be thinking 'hey, who needs this App? If I lose my iPhone, I just call it from another phone and either hear the ring, or someone picks it up'... if only life were really that simple. Murphy's first iPhone law states that if you mislay your iPhone, you will have it muted. This means that you can call it but, if you're very lucky, you will hear the vibration but, nothing else. Enter (drum roll, please) 'Find My iPhone'... the App will have the iPhone/iPad/iPod emit a loud sound, even with the volume off or muted. As an extra security measure, you will receive a message informing you of the date and time that the sound was played. This gives you another level of security if someone hacks in to your account. To find your device just launch the App (there is also a web version at www.icloud.com). Touch the 'Devices' button and all the devices registered under your account are listed. Pick any one of these and it is not only displayed on a map (with amazing accuracy) but, you can play a sound on it, enter lost mode (where you can remotely lock the device), or even remotely erase the device. In addition to this the current (ouch) battery level is shown graphically. Setting up and use is simple but, if you require detailed instructions, these are available here. The App is free, not to say priceless. This App is an absolute 'must'... just don't understand why it isn't part of the basic iOS. The App works on iOS 5 or later, and most importantly, it does exactly what you would hope; it helps you locate your iOS device. The 'cost' of making your location visible is far outweighed by the security (in this instance), afforded to you as a result. 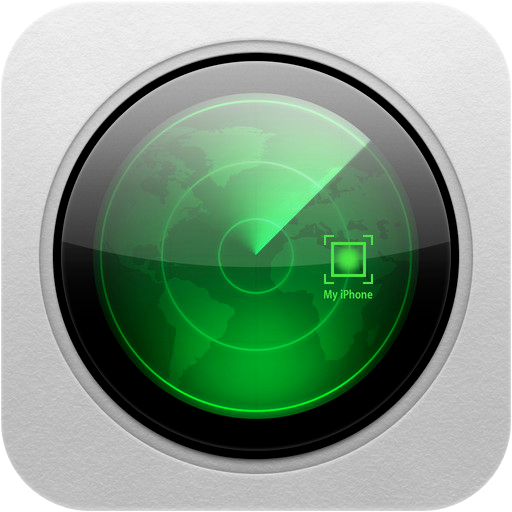 You can get Find My iPhone here and support for the App here. The developer advises that there has been an update to version 2.0.3 of the App. I wouldn't. The 3G can no longer get updates nor can it use most apps. The 3GS would be a better start. Thanks for the comment Donald. That's the way technology goes... which also means that one brilliant thing about iOS 7 is the way that one cannot turn the App off without the iTunes password. This is a great way to explain an iPhone app review. which includes everything Cost, Indispensability, Dependability and Security.